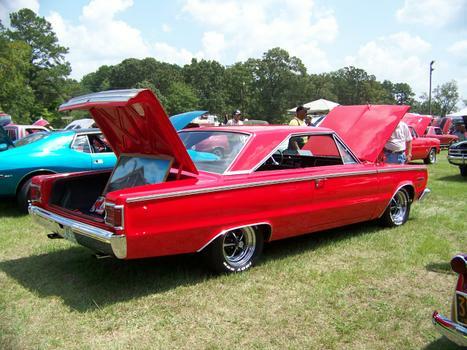 This is my 1967 Plymouth Belevedere 2. Engine-493 stroker, mopar purple cam, edelbrock aluminum heads Hughes Rocker. Demon six-pack carbs.. Transmission 727 B&M shift kit.. Interior by Cottington Customs and Classics.. Paint, Viper Red Martin Senour by D&R Customz Maxton NC..Glove Box autographed by the man himself RICHARD PETTY !!!! This is my baby and what I enjoy doing..